This recent BMJ blog explores the topic of paying patients to advise on health research, policy and service design. I was surprised to discover that there was still a debate about whether to pay patients or not! The question of whether to pay people who bring ‘expertise from experience’ to research is nothing new. Health and social care research has a good public image. Polls suggest that university-based researchers are trusted by up to 90% of the public (Ispos Mori, 2014). This year has seen the expansion of our mental health science theme of work. We have engaged with scientists developing new treatments and testing them in research studies. Are these treatments that patients want? What are the ethical considerations of developing the treatment? The 30th of November saw the first of what we will hope will be a series of methods workshops. 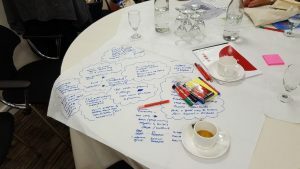 It brought together over 70 researchers to discuss how to integrate ‘lived experience expertise in mental health research teams’. The event was massively oversubscribed and if the fact that we had to cut short discussions before we were physically kicked out of the venue is any guide, it succeeded in its aim of stimulating debate and the sharing of ideas. The subject of power and control within the field of social research has long held a fascination for me. Professionally as a social researcher; as a participant in social research; and finally as disability rights activist for the past 10 years. Public and patient involvement in research. Why not? 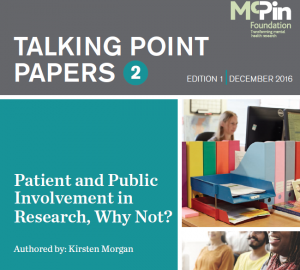 Thomas Kabir introduces the latest in our series of Talking Point papers: ‘Public Involvement in Research, Why Not’? by Kirsten Morgan. 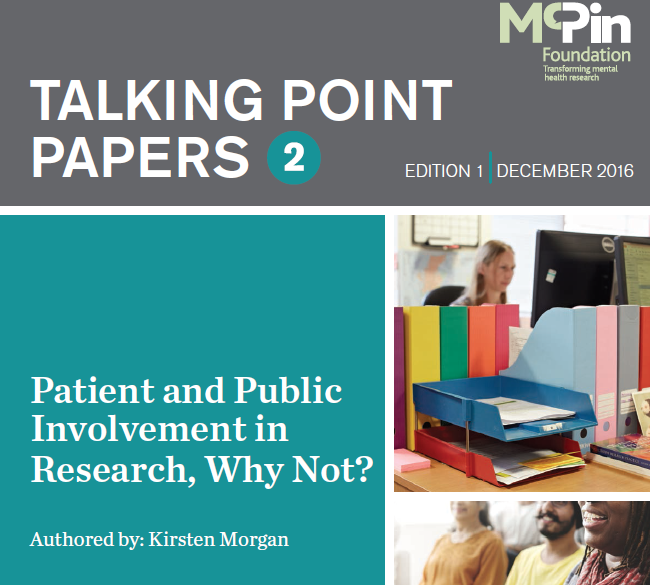 Our occasional series of Talking Point papers encourage people to consider key issues in mental health research, and provides a platform for their personal views. Yesterday afternoon saw the first of our methods workshops on ‘integrating lived experience expertise in mental health research teams’. The event was massively oversubscribed. If the fact that we had to cut short discussions before we were physically kicked out of the venue is any guide it succeeded in its aim of stimulating debate and the sharing of ideas. What do we mean by patient and public involvement in research? Our charity is on a mission to improve the mental health of communities everywhere – through research. We obviously can’t do this alone, and thus collaborate with many others who share our goals. In the last three years, since we established our staffed research unit, we have seen some progress with the value and role of research being given greater prominence.